#113. 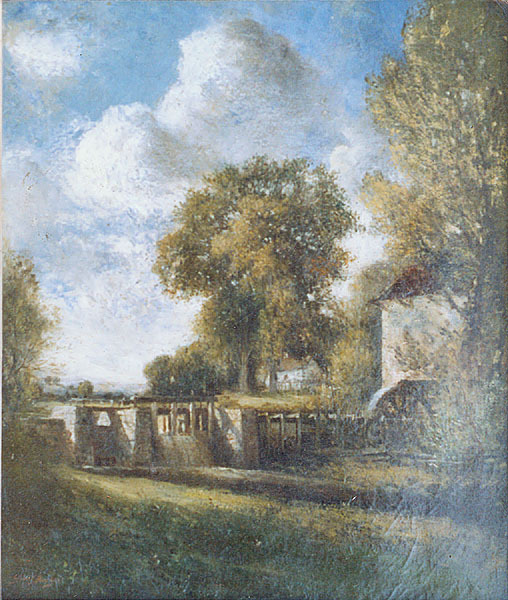 The Water Mill. 26 x 22, oil on canvas. "Gilbert Munger" lower left. At Raydon Gallery, New York, since before 1998. 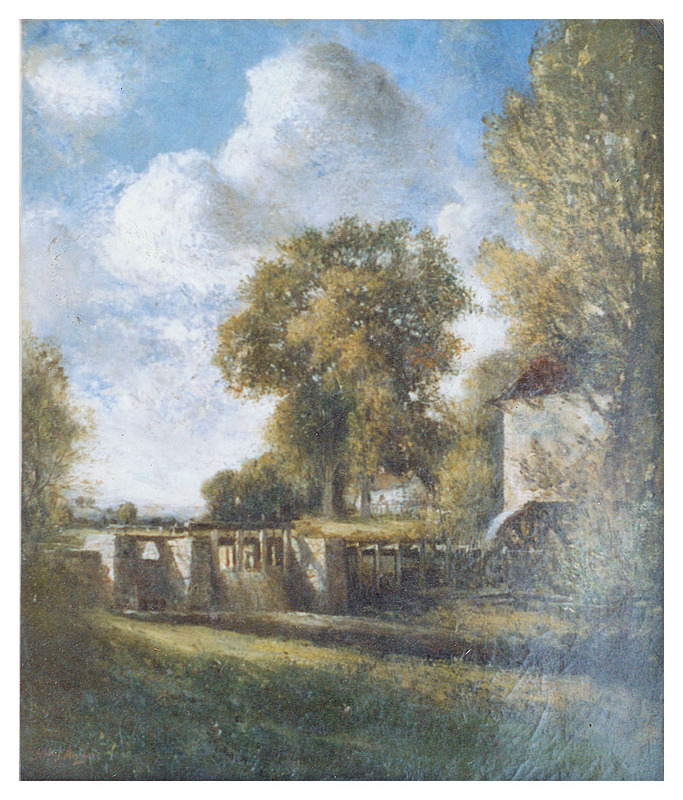 This painting shows another depiction of the Cazenovia NY water mill (see painting #16). Image from Raydon Gallery, New York, photo.